George Henry Luck was born in Edmonton in 1929 and attended Edmonton Public Schools. He earned a B.Sc. in Civil Engineering from the University of Alberta in 1951 and a M.Sc. in Soil Mechanics in 1953. 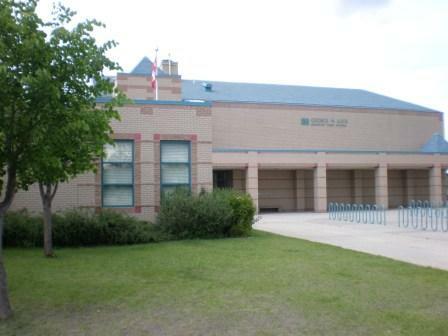 In 1966, George Luck joined Edmonton Public Schools as Director of Planning and became Assitant superintendent of school facilities until 1980. In 1983 he was elected to Edmonton Public School Board. He served for nine years as Chairman and Vice chairman and was an active member in the community. Edmonton Public Schools is proud to have been associated with Mr. George H. Luck, and honored to name a school inrecognition of a man who demonstrated the skills, knowledge, and attitudes that are inherent to lifelong learning. Students at George H. Luck believe in making a difference in the community and the world. Each year a group of students is formed and together they plan outreach projects that involve the students and parent population. Since 2007 George H. Luck has been creating "Backpacks of Luck" during the Christmas season and delivering them to the homeless people in our city centre. We have also organized food bank donations, community clean up, school supplies to Africa and weekly "Food for a Friend" deliveries to an inner city school. Welcome to 2018-2019 George H. Luck. Please contact your child's teacher for specific information you require. School and class learning information posted on Schoolzone will keep you updated and informed about learning/programming and school events. 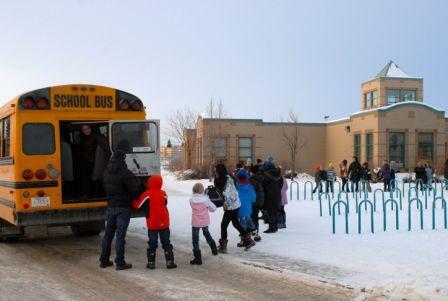 For more information on how to connect to SchoolZone, please contact the school. On behalf of all the staff at George H. Luck School, I am pleased to welcome you to the 2018-2019 school year. It gives me great pleasure to welcome new and returning students and their families to George H. Luck School. We would also like to welcome our new kindergarten students as they venture into their first year of school and a new world of learning. It is truly a privilege to have your child at George H. Luck. Our staff is committed to working with you to provide the best possible programming to help your child work, learn and grow to their full potential. At George H. Luck we set high standards for academic success and student conduct. We place great value on providing rich learning experiences. With the start of a new year, we look forward to bright beginnings where we can work with our families to establish meaningful academic and social goals for our students. As a school community, we are excited about a number of initiatives and their potential for improving students’ success. A successful education is a shared responsibility between home and school. Communication is an important component for the success of any partnership. We welcome your ideas, support, feedback, and involvement throughout the year. Our enthusiastic and hardworking staff look forward to working closely with you and providing the best education for your child. As we embark on this exciting year together, we are confident that with your continued support, we will experience great accomplishment and success. Thank you for entrusting your children with us. We look forward to a successful year with your children.